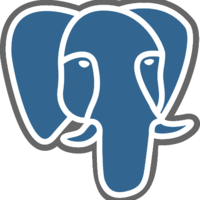 PostgreSQL is an advanced object-relational database management system that supports an extended subset of the SQL standard, including transactions, foreign keys, subqueries, triggers, user-defined types and functions. ZeroDB enables clients to run queries over encrypted databases without exposing decrypted data to the server and without a proxy gateway. 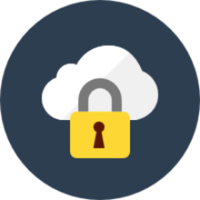 Data at rest and in use is secure - the cloud is no longer a single point of failure. Why do developers choose PostgreSQL? Why do you like PostgreSQL? Why do developers choose ZeroDB? Why do you like ZeroDB? What are the cons of using PostgreSQL? What are the cons of using ZeroDB? What tools integrate with PostgreSQL? What are some alternatives to MySQL, PostgreSQL, and ZeroDB? We use postgresql for the merge between sql/nosql. A lot of our data is unstructured JSON, or JSON that is currently in flux due to some MVP/interation processes that are going on. PostgreSQL gives the capability to do this. At the moment PostgreSQL on amazon is only at 9.5 which is one minor version down from support for document fragment updates which is something that we are waiting for. However, that may be some ways away. Other than that, we are using PostgreSQL as our main SQL store as a replacement for all the MSSQL databases that we have. Not only does it have great support through RDS (small ops team), but it also has some great ways for us to migrate off RDS to managed EC2 instances down the line if we need to. PostgreSQL combines the best aspects of traditional SQL databases such as reliability, consistent performance, transactions, querying power, etc. with the flexibility of schemaless noSQL systems that are all the rage these days. Through the powerful JSON column types and indexes, you can now have your cake and eat it too! PostgreSQL may seem a bit arcane and old fashioned at first, but the developers have clearly shown that they understand databases and the storage trends better than almost anyone else. It definitely deserves to be part of everyone's toolbox; when you find yourself needing rock solid performance, operational simplicity and reliability, reach for PostgresQL. Relational data stores solve a lot of problems reasonably well. Postgres has some data types that are really handy such as spatial, json, and a plethora of useful dates and integers. It has good availability of indexing solutions, and is well-supported for both custom modifications as well as hosting options (I like Amazon's Postgres for RDS). I use HoneySQL for Clojure as a composable AST that translates reliably to SQL. I typically use JDBC on Clojure, usually via org.clojure/java.jdbc. PostgreSQL is responsible for nearly all data storage, validation and integrity. We leverage constraints, functions and custom extensions to ensure we have only one source of truth for our data access rules and that those rules live as close to the data as possible. Call us crazy, but ORMs only lead to ruin and despair. Tried MongoDB - early euphoria - later dread. Tried MySQL - not bad at all. Found PostgreSQL - will never go back. So much support for this it should be your first choice. Simple local (free) installation, and one-click setup in Heroku - lots of options in terms of pricing/performance combinations.